Hello! Congratulations Canada, you will be 150 years old this year ~ 2017!!! On Tuesday, May 30th we will be playing Canadian songs on the 150th day of the 150th year. That’s pretty cool. Up On Cripple Creek (C) by THE BAND!! Wagon Wheel Darius Rucker (G) by Canadian Musician Darius Rucker, formerly of the band Hootie and the Blowfish. Some of these songs celebrate things distinctly Canadian and other songs are a nod to the East Coast, to Ontario, to country music roots, or just darn fun! We’re allowed to have fun and to celebrate our nation’s age, culture and heritage. I hope you enjoy! In the 1980’s The Irish Rovers briefly renamed themselves The Rovers and had enormous success with this single. The subject matter is neither Irish nor nostalgic, but it had large cross-over success in the Country Rock genre. 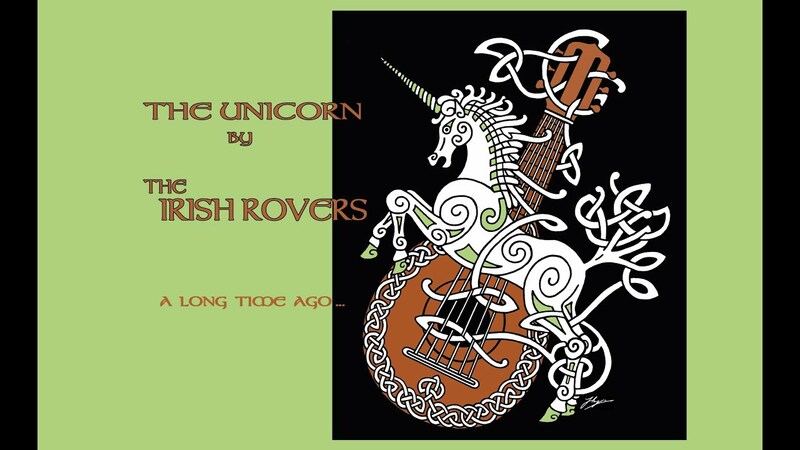 folk song, The Irish Rover. The signature sound of the band is the accordion, pipes and guitar. All but one of the band members were from Ireland, the last hailing from Scotland. Before the family emigrated to Canada, founding band members had performed in Ireland as “The Millar Kids”. Meeting other musicians of Irish descent and immigration in Toronto, the band quickly formed in the early 60’s and were received well playing in various folk song festivals, clubs and hootenanys. At one point they became regulars at Calgary’s Depression Coffee House, a well-known folk club that had contributed to the start of Joni Mitchel’s career. In 1966 they headed for California and recorded their first album. While recording their second album in 1968, Canadian folk singer/songwriter Glen Campbell suggested Shel Silverstien’s 1962 folk song The Unicorn Song. Glen Campbell actually played guitar on their original recording. Also in 1968, the Irish Rovers were named Band of the Year at the JUNO Awards. By the 1980’s after performing literally for decades hosting their own television shows, the band’s sound had evolved away from traditional Irish and well into the Country Rock genre, which accounts for the large success of Wasn’t That a Party. It was written by Tom Paxton, who was already an award-winning fixture of this genre. In 1968 Paxton had licensed his song, My Dog’s Bigger Than Your Dog to the makers of Ken-L Rations Dog Food for use in a television commercial. During his career Paxton travelled in circles with the likes of Woody Guthrie, John Denver and Pete Seeger. John Denver recorded one of Paxton’s songs, Whose Garden Was This in 1970. Paxton was highly regarded as an important writer of songs with both environmental and social topics, highlighting such issues as the plight of anti-aparthied activists; the effects of energy production and consumption on the environment; and the as-yet-not-socially-acceptable topic of mental health – depression in particular, after a friend took his own life. However, it’s been suggested that Wasn’t That a Party is a light-hearted reference to “conditions that arise” after stage performances. *Can be found on “At the Pub: A Celtic Celebration”. This song by accomplished author Shel Silverstein was made very popular by The Irish Rovers in 1968. Silverstein was fascinated by folklore, myths, fables and legends. The lyrics to the song were printed as a poem in Silverstein’s book Where the Sidewalk Ends. What seems to be a timeless Irish folk song was written by a Jewish children’s book author from Chicago. 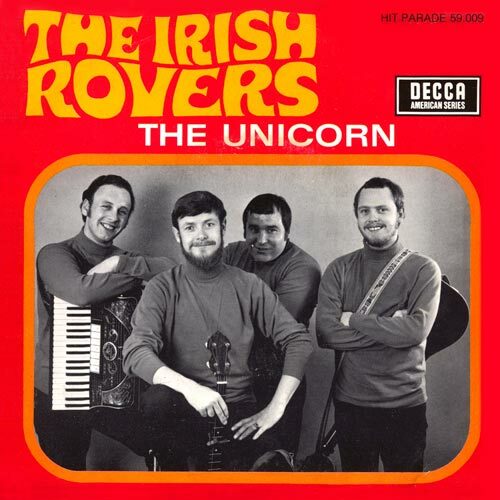 When the Irish Rover’s picked it up for recording, their – – “very, very authentic Irish sound and ethnic background” complemented the subject of the piece. It remains one of the best-known songs of the Irish Rovers’ long career, who were named Band of the Year at the JUNO Awards in 1968. It was a #2 hit for them in North America and #5 in Ireland. It can still be heard regularly in Irish Pubs. 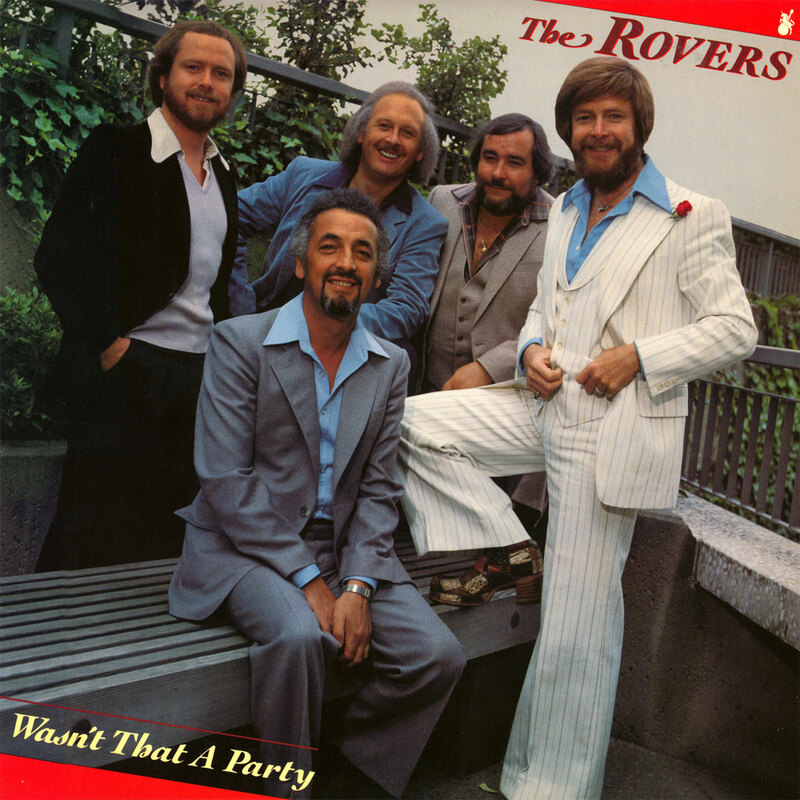 In the original version of the song, The Irish Rovers speak half of the lyrics, as well as part of the 4th Chorus. The final line of the 5th verse is spoken freely without the music: “And that’s why you’ll never see a Unicorn to this very day”. Many people today also claim there are gestures that accompany the song. Written by Bronxeville, New York composer Mort Dixon, whose first hit was That Old Gang of Mine in 1923, followed by Bye Bye Blackbird in 1926. Music composed by Harry M. Woods (a Tin Pan Alley Songwriter of the depression years), of Boston, Mass. Woods also wrote these hit songs: When the Red, Red Robin and Side By Side, among others. Ukulele-playing television personality Arthur Godfrey also had a hit recording of this song during the same year, topping the North American charts at #14. It is likely that no other single person has been directly responsible for the sale of as many ukuleles as Arthur Godfrey, an enormously popular television star of the 1950’s and 60’s. This song was created after WWI and during the Roaring Twenties. Musically it’s called a Chorus Song. Lyrically it’s an Appreciation Song. Times were tough during the first Word War, but we survived and are having fun in the 1920’s! As the U.S. entered the second World War in 1941, it was a very popular big band song on the Eastern coast, and became an Irish-American WWII tribute song which was played repeatedly in home-coming parades. I’m Looking Over a Four-Leaf Clover This version is from Dr. Uke and we like to play it twice over. There is another version that has verses, and below is a video of the song as performed by Donny and Marie Osmond. A Traditional Shaker hymn “Simple Gifts”, words added by Sydney Carter, 1963. Carter was an English poet, song writer and folk musician who wrote many folk songs, carols and gospel songs. During WWII he served as a volunteer in the Friend’s Ambulance Service in Egypt, Palestine and Greece, and was a self-described pacifist. Regarding Lord of the Dance, Carter wrote that he was using the metaphors of dancing and playing music, ie. playing a flute or pipe, to represent the life and times of Jesus. Due to it’s musical allusion to flute playing, it has long been associated with traditional Irish music. Lord of the Dance An excellent adaptation made available by the Bytown Uke Group – BUG, based in Ottawa. Also known as “Cockles and Mussels”, or “In Dublin’s Fair City”, this popular song is set in Dublin, Ireland, and has become the unofficial anthem of Dublin. The song is sung regularly by fans at soccer and hurling matches, and June 13 has been officially declared Molly Malone Day. Whether or not Molly ever existed is a long-time debate. The statue of her on lower Grafton Street, erected in 1987, depicts a woman in a 17th century dress wheeling a cart. Though Historians claim she lived in the 1600’s, the song “Cockles and Mussels/Molly Mallone” does not appear in any historic musical record before the 1880’s. She is typically represented as a fishmonger by day and a street-walker by night. MOLLY MALONE C This version is in the Key of C, developed by our group, T’UkeS. 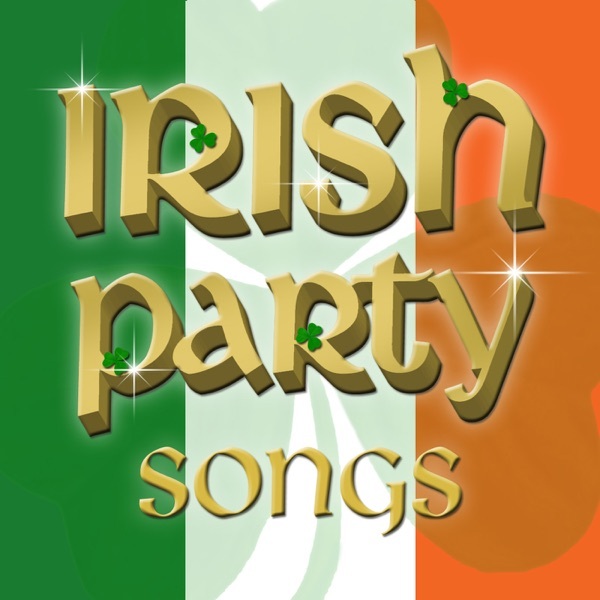 This song is the unofficial anthem of all those who consider themselves to be “Irish Americans”. To quote Irish Fun Facts: “Written by two of New York’s most prolific professional songwriters, in collaboration with a leading vaudeville performer, none of them Irish.” The credits are shared by George Graff Jr and Chauncey Olcott who wrote the words, and Ernest R. Ball who composed the music for Olcott’s stage production of The Isle O’ Dreams, and Olcott sang the song in the show. In 1912 this was a time when songs in tribute to a romanticized Ireland were very numerous and popular both in Britain and the United States. soundtrack, and then released on his album of that name in 1952 which featured all Irish tunes. 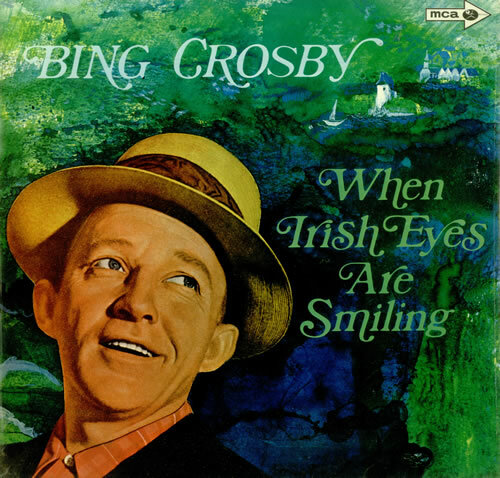 When Irish Eyes are Smiling Our version, Tillsonburg Uke Society – T’UkeS – in the Key of C.
Today I am posting about one of my favourite songs, the jazz and reggae medley, Over the Rainbow/What a Wonderful World by Bruddah Iz, or IZ. I just got my beautiful copy of IZ, The Ukulele Songbook of his songs and tablature and have been pouring over it for days. Tomorrow night I am going to teach this arrangement of the song at my Beginner’s Ukulele class in Tillsonburg. So here is a little Bio of IZ and background about the song (all of which I gathered from as many internet sources as possible, so please keep that in mind if one of the facts seems out of whack to you. Just post a correction in the comments, please). Isreal Kamakawiwo’ole (Kamaka weewoh oleh) which means “fearless eyed”. The current MODERN worldwide appreciation of ukulele music can easily be traced to one man known as IZ, also known as Bruddah IZ. IZ’s music conveys joy and hope and is loved the world over. He is a Hawaiian musician, entertainer and Hawaiian sovereignty activist. IZ was raised in the same community where his parents had met and married. His father’s name was Henry but he was known as “Tiny” an ironic knick-name because he was obese. His mother had been born on the island of Ni’hau (the forbidden island) and she was also known to have been obese. IZ began playing music with his older brother Skippy and cousin Allen Thornton at the age of 11, being exposed to the music of Hawaiian entertainers of the time such as Peter Moon, Palani Vaughn and Don Ho, who frequented the establishment where IZ’s parents worked. IZ also had an uncle in the music recording business, Moe Keale, who was a notable Hawaiian musician and a major musical influence. From an early age IZ was known to have played an ukulele. In his early teens (early 1970’s) his parents moved to the area known as Makaha, where he met Moon Kaui, Sam Gray and Jerome Koko. Together with his brother Skippy they formed the highly successful band, Makaha Sons of Ni’hau. They toured mainland USA and other parts of the world, producing 19 to 22 successful albums. The last album IZ recorded with them is known to have been their most successful overall. IZ’s older sister Lydia eventually became married to Moon Kaui. By 1979, IZ’s father Tiny, passed away. In 1982, IZ’s brother Skippy, at the age of 28, died of a heart attack related to obesity. Also in 1982 he married his high school sweetheart whom he had a daughter with. 1990 IZ released his first solo album which did well, but never reached the record-breaking success of his second album. His voice became famous outside Hawaii when his second album Facing Future was released in 1993. His jazz and reggae medley of “Over the Rainbow/What a Wonderful World” was subsequently featured in several films, television programs, and television commercials. In 1997 he was nominated for several esteemed music awards but had to watch the ceremony on television from a hospital room. 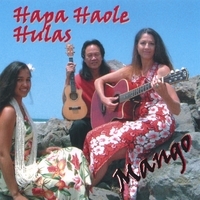 In 2005 this album became Hawaii’s first certified platinum album by any artist. 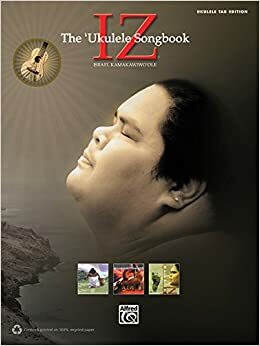 Before his death, IZ lost both his mother and father to complications due to obesity, his younger sister Evangeline who died at age 22, and his brother Skippy. These losses had a profound impact on IZ, who attributed them to his performance of White Sandy Beach, another hit song from Facing Future. Tragically, IZ passed away at the age of 38 in 1997. Although he stood 6 foot 2 inches tall he weighed a morbid 757 lbs at his death. He had endured several hospitalizations and suffered from respiratory problems, heart and circulation problems, and other medical conditions. He died at Queen’s Medical Center on June 26, 1997, at the age of 38. The state flag of Hawaii was flown at half-mast as he lay in state at the Hawaiian Capitol Building. He was the third person in Hawaiian history to be bestowed this honor. Ten thousand people attended his funeral and thousands gathered to witness as his ashes were scattered at Makua Beach. He had been cremated with his beloved vintage Martin ukulele, they claim it was the very one he had played when he recorded “Over the Rainbow”. After a bronze bust of him was erected in the Waianae Community Park he was officially given the title “The Voice of Hawaii”. He had produced and released 4 solo albums while he was alive, but the recording company “Mountain Apple” which owned the rights to his music and all of his subsequently recorded but as yet unleased material, released 4 albums under IZ’s name after his death. They’re called “compilation albums”. The first one was “IZ in Concert: the Man and his Music,” which did so well that they made 3 more: Alone in IZ World, Wonderful World and Over the Rainbow. 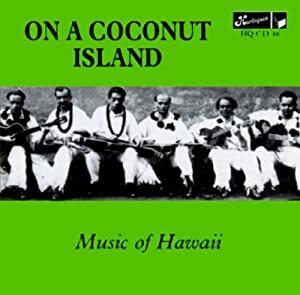 Today’s musical offering is On A Coconut Island, composed by R. Alex Anderson in 1936. 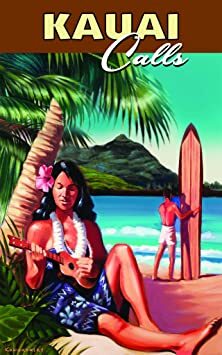 Before I tell you about Alex Anderson and some of his famous works, I have to first give you a blurb to read explaining the musical genre known as “hapa haole”. Definition = Hapa is a Hawaiian word that was originally part of the full phrase hapa haole, which was a derogatory term for someone half Hawaiian and half “white foreigner.” Today, the phrase has been shortened to simply “hapa” and generally refers to anyone part Asian or Pacific Islander and part Caucasian. Haole = a person who is not a native Hawaiian, especially a white person. *Music term = a type of Hawaiian music in which the tune, styling, and subject matter is Hawaiian, but the lyrics are partly, mostly, or entirely in English. This style was born during the mid-to-late 1800’s when Westerners began settling on the Hawaiian islands, and producing songs in some combination of English and Hawaiian language. They started gaining popularity outside of the Territory of Hawaii between 1912 and 1919. During the Depression years this song genre exploded in composition because the North American population yearned to hear songs full of nostalgia and far-away places; and the distraction of the silly antics of native Hawaiians (On the Beach at Waikiki; Little Brown Gal). The era of the War Years generated still more composition of hapa haole songs because people wanted to hear songs that re-affirmed the peace and war movement, and songs about Hawaii were a reminder of survival after the attack on Pearl Harbor and while also embodied the promise of return. Popular songs were those that evoked nostalgia and yearning, yet reassured us. Examples of composers of this genre: Sol K. Bright – Sophistocated Hula; Harry Owens – Sweet Leilani; Jack Pitman – Beyond the Reef; Bill Cogswell, Tommy Harrison and Johnny Noble – (I Wanna Go Back to My) Little Grass Shack; Don McDiarmid, Lee Wood and Johnny Noble – Little Brown Gal. R. Alex Anderson was an American composer who wrote many popular Hawaiian songs within the Hapa Haole genre including Lovely Hula Hands (1940) and Mele Kalikimaka (1949), the latter on of the best known Hawaiian Christmas songs (in the U.S.). He attended the Punahou School on Oahu where he wrote the school’s anthem in his senior year. He went on to graduate from Cornell University in 1916 with a degree in mechanical engineering, but returned to his home on the Hawaiian island of Oahu for the rest of his life. During his career he wrote in excess of 200 songs on piano and ukulele. *He is considered the “most Hawaiian” of the Hapa Haole song writers. A frequent visitor to the Hawaiian islands, and to Alex Anderson’s home, was Bing Crosby who was frequently his avid golf partner. Bing Crosby had recorded Mele Kalikimaka and it went all around the world on the B-side of Crosby’s hit song, White Christmas on 45’s. When Anderson wrote On a Coconut Island in 1936 it was immediately recorded by the world-famous crooner and trumpet player, Louis Armstrong. Lovely Hula Hands was recorded by Harry Owens and the Royal Hawaiian Orchestra in 1940, Teresa Brewer in 1961 and Bing Crosby in 1963. Don Ho included it on his world-famous album, Hawaiian 30 Favorites in 1979. One of the things I love about this song is it’s simplicity. It has a swaying quality to it as you go back and forth between C7 and F for the verses. Of course, Louis Armstrong’s version has a lengthy instrumental part, presumably for hula dancing LOL – but you can play the song as slowly or quickly as you like, just play it twice through and tag the ending a couple times. Of course, I’ve got a Hawaiian vamp to open it with, and you strum once downwards on C7 and let it ring as you sing those first three magical words, “On a coconut…”. R. Alex Anderson wrote this song with an innovative way of rhyming the lyrics. Not just at the end of each stanza – heck no that would be too obvious! – but in mid-stanza with the word “island”. How many words in the English language rhyme with “island”? None to not many. Instead, he chose to break up the word between two measures so that you sing it as “eye land”, which has many rhymes: “while and”, “mile and”, “smile and”, etc. and so forth. I have found different wording for the chorus on the internet. I am using the wording from R. Alex Anderson’s original composition, and the last verse is the wording from Louis Armstrong’s recorded version of the song in 1936. A sort of homage to Louis, if you will. It’s barely a week past the holidays and with the New Year fresh upon us I am still working on songs for the ukulele. This week I am focusing on getting all of the songs I arranged in 2015 into a PDF document to be posted. Not quite there yet! I found that I had arranged 31 but had posted around 40 using free online sources. Before I post it however, there is an issue I had to resolve regarding the song, “Beautiful Kaua’i”. A friend of mine forwarded a copy of “Beautiful Kaua’i” to me that had an embellishment right on the first line: a three chord turn around. Another friend of mine emailed me to say that there are other versions of the song using different words for the chorus, notably the word pertaining to the Falls of Wailua. But first, I want to address the issue of the spelling of the name of the Hawaiian Island of Kaua’i. If we consult with websites and published books dedicated to the correct spelling and pronunciation of the Hawaiian language, then we should be spelling it with an ‘okina before the “i”. (If you want to learn something interesting about the name “Hawaii” itself, just Google it, or go to Wikipedia. Very good explanation of it.) Now, if you realize that Kaua’i is pronounced kaw-AH-ee, then singing the song will be a lot easier for you. I first encountered this song on my trip to Honolulu in February/March 2015. The organizers had emailed everyone to see if they wanted to contribute 4 or 5 songs towards a group strum happening on one of the nights. We did this song then, and a couple nights later we enjoyed a group strum with a local family group, who regularly host kani kapila, and we did this song again. I loved it! They also did a real funny one about a General Store. Most of the songs were in English, but the ones in the Hawaiian language were just as sweet and enjoyable. After my two friends emailed me, I took up an internet search. First I tried to find the words as written by Rudolph “Randy” Haleakala Farden. As stated at http://www.huapala.org/B/Beautiful_Kauai.html, they claim that their version of the words to the song are confirmed by ohana, or family members, to have been composed and copyrighted by Randy Farden in 1965. And the falls of Wailua, where lovers often roam. The SUPA (Seattle) website has this song identical to those words, even using the correct spelling of Kaua’i. You can find a copy at seattleukulele.org, in the Key of C, with an interesting use of 2 beats on C and 2 beats on C7 to form a 4/4 measure. Also, their verses forsake the use of Dm or D7 for “Beautiful Kaua’i, beautiful Kaua’i”. They hold on C, go strait into G7, then hold on G7 and go strait back to C. It sounds a bit different from what I was introduced to while in Hawaii, and I am by NO means at all an expert with this song, but if you play it and you like it, then that is all that matters. Unfortunately for me, once I learned of the existence of other versions, the English major in me reared it’s ugly head and just had to analyze! The words of the chorus as written above do not make a grammatically correct sentence. There! I said it! The problem is with the word “and”. 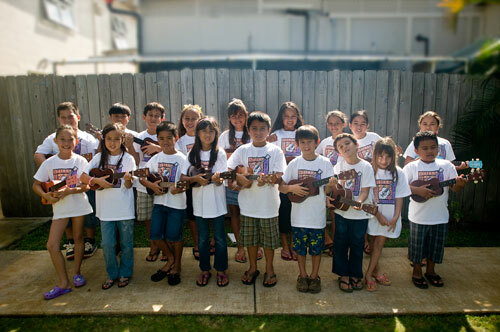 My second version of this song I will give you is from the Mele Ohana website. It is actually the last version I found in the Key of C, and the most embellished, but I’m putting it second in line because it also uses the correct spelling, and the same words for the chorus as stated at the huapala website. This arrangement is for a children’s school or choir, and the director has written her notes on it. She has taught her players the second position of the C chord and embellished a line in the chorus for “Mother Nature made her home”, by using 2nd position C for 2 beats over “Nature”, B for 2 beats over “made her”, and returning to that C for “home”. It sounds very pretty but be aware that the 2nd position C chord is much higher sounding when played this way compared to 1st position, or what we think of as normal, C.
The next version of this song that you can look at is available online, as BEAUTIFUL KAUAI, from what calls itself “the Moonlight Beach Strummers”, but you download it from Lanai City Rentals. Somehow. This version also claims it is by Rudolph “Randy” Haleakala Farden, but the wording of the chorus is different. This version was emailed to me by one of my friends. It has the nice little three chord turn around at the end of the first line, and uses the progression from A7 to D7 to G7 back to C for the “Beautiful Kauai, beautiful Kauai” lines. To the Falls of Wailua, where lovers often roam. They are still using the word “In” but we are now in the “mist”, and we are going “to” the Falls of Wailua. They have the chorus written out twice, and modify the second one to “From the mist of Fern Grotto.” If that’s the case, then have we changed the meaning to say that Mother Nature made her home from the mist? Or is it a location of Mother Nature’s home, occupying a geographical area from Fern Grotto to the Falls of Wailua? ‘Neath the Falls of Wailua, where lovers often roam. Which also happens to make the most grammatical sense to my way of thinking. I have also heard (via Youtubing) the word “near” instead of “neath”, which still makes sense. Despite my discoveries, songlyrics.com has the lyrics by Don Ho as “In the midst” and using “and” for the Falls of Wailua. Another lyrics website has credited Kawai Crockett with the lyrics the same as Don Ho’s. It’s interesting because Hawaiian performer Mark James has recorded this song with the chorus as found above, same as at the squareone.org website. And now, for The Big Reveal: I have taken all of the embellishments and applied them to my original version, posted many months ago, and modified the wording in the chorus (which some might say is just a bridge) to the ones that I as the English major prefer best. However, I have put both mist and midst in the first line, and I have “Near” typed above ‘Neath on the third line. Using the Mele Ohana’s embellishment of the second line in the chorus as my inspiration, I substituted B7 (instead of B) when using the regular C chord, or 1st position C. It also sounds good using the Hawaiian D7 so I leave it up to the player to choose their preference. Lastly, I incorporated an ending I admired from the Mele Ohana version. I hope everyone enjoys my version, LOL!